Dunedin City Council takes great pride in delivering services to the local population of this unique and fascinating city. With a population of around 128,000, Dunedin is big enough to be busy and exciting, whilst small enough to feel like it’s your place. 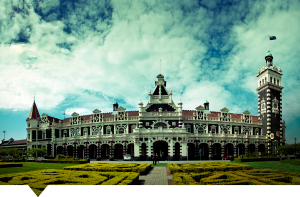 We like to think of Dunedin as one of the great small cities in the world. You can work and live in a place that is steeped in a rich cultural heritage, and which continues to expand and improve its services and facilities to the local community. Our roles are diverse; our people are talented and we are all committed to serving our city. Dunedin has a unique history, and we would like to invite you to be part of the city’s remarkable story. We have a wide range of jobs across a number of different career areas from technical jobs right through to administrative roles. Why not visit the Roles page and see the diverse range of jobs that our people do? Current vacancies can be viewed on Search & Apply.